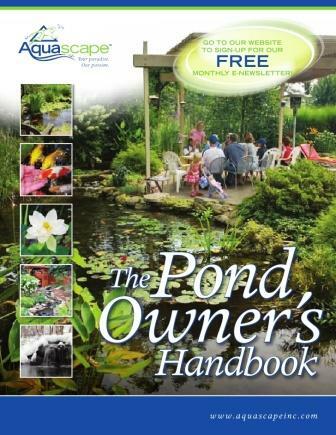 When your pond is large enough that you require a seam to be made, the eam area must be cleaned first. 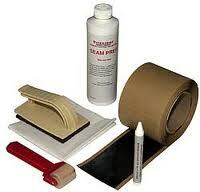 Our Tape Primer cleans & prepares the EPDM liner for seaming. Apply a moderate coat of primer on to the liner or a cloth, then wipe the liner clean. Wait 2-3 minutes and allow the Tape Primer to dry. Now your EPDM rubber is clean and a little tackey. This is perfect for then applying either the 3" Double Sided Seam Tape and/or the 6" Cover Tape. We offer a video presentation by Firestone describing the uses of EPDM Rubber Liner & how to install and seam the material. After you are finished viewing the video, click on the BACK arrow (located in the upper left corner of your screen) to return to this screen. "DOWNLOAD LINER VIDEO"
To learn how to make a perfect seam," Click Here" ! 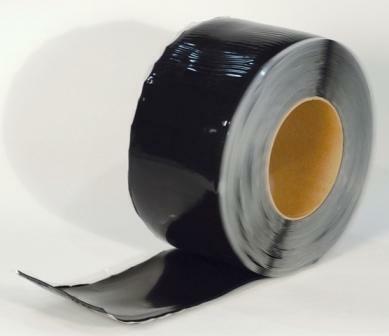 6" Seam Tape The 3" Double Sided Seam & the 6" One-Sided Cover Tape is used by pond professionals to seam multible pieces of EPDM Liner together. 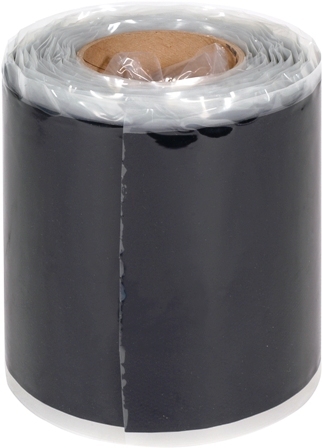 THe Cover Tape can also be used for patching holes in liner. 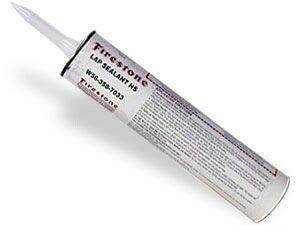 RLS Firestone Lap Sealant is specifically designed edge treatment used to ensure a watertight seal while seaming two EPDM liners or flashing. RQSK A complete system for seaming together panels of PondGard liner to form larger panels of liner. 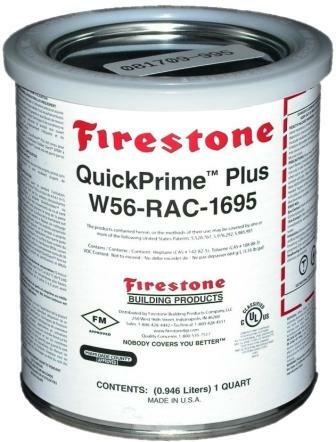 QuickPrime Plus Cleans and prepares EPDM liner for seaming.